Crocheted fiberglass with polyester resin. The form is based on . . . 83964243781 . . . a sequence from within the infinite number e. The value of the first four digits is expressed through the depth of each vertical loop. 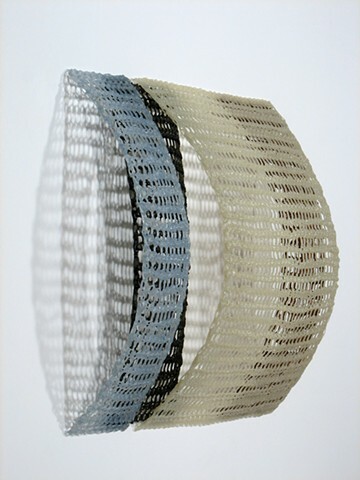 The rest of the numbers are reflected in the width and overlap of the four crocheted loops. Color was inspired by works from the Czech Cubist Museum.